We have a right to basic security. A time to reflect on the reunions that are missing. Ladies and gentlemen, and the award goes to….. The absurdity of it all. And not to mention the audacity of it all. And as if to further add sodium chloride to the wide gaping wounds that all of us, Malaysians, suffer every time our so called leaders forget to take their medications, we are told that so and so have been sacked or told to leave their job, some even earning pensions and whatever. 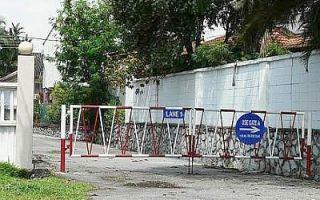 Fahri Azzat, who occasionally visits the Istana Kehakiman to do a bit of filing, breakfast and use the impressive toilets, shares his thoughts on the security machines and guards stationed at the entrances calling for the removal of both.